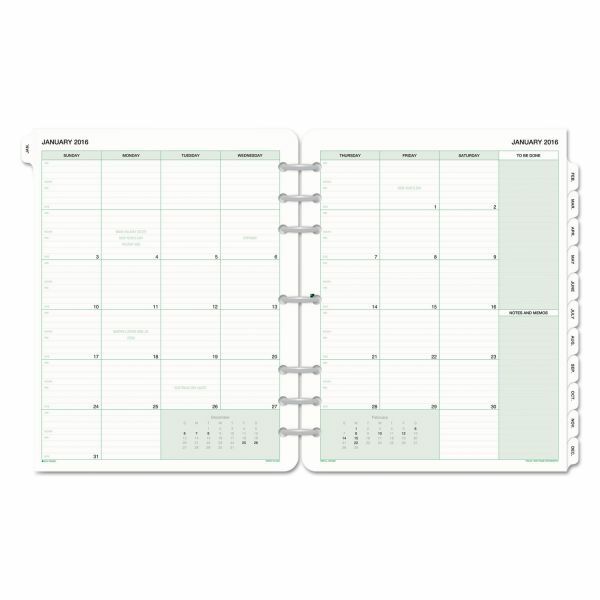 Day-Timer Monthly Classic Refill, 8 1/2 x 11, White/Green, 2019 - Monthly refill is designed for planner binders. Each sheet is seven-hole punched. Planning pages range 12 months from January to December. 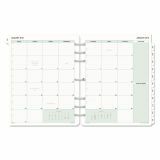 Tabbed, two-page-per-month spreads offer ruled daily blocks, Sunday-through-Saturday scheduling, holidays, a ruled section for a to-do list, another ruled section for notes and memos, and past and future months reference. Refill is printed on paper made with a high percentage of recycled content.